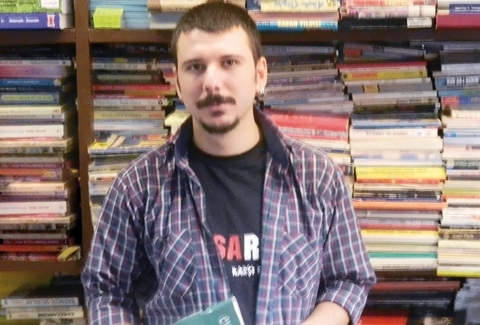 Emin Şakir, an anti-racist activist and member of the Revolutionary Socialist Workers Party (DSİP) in Turkey, has been arrested after a court hearing on charges related to his website www.solyayin.com, a website that contains historic archives of many different left-wing publications across the country. He has been sent to Maltepe Prison in Istanbul. Emin has a personal and political interest in journalism and publishing. The state prosecutor has classified his file as ‘confidential’ but this is absurd – this an archive of what has been publicly available material. His lawyers don’t have the full details of charges against him but the latest information is that he has been arrested due to publishing ‘banned’ material on his website. This is therefore a clear and indefensible attack on the basic democratic right to freedom of speech and freedom of the press. We extend our solidarity to our comrade Emin and DSİP and condemn this attack on democratic rights – one of many by the Erdogan Government. We demand his immediate release. Archive work is not a crime!